Fitzpatrick Lentz & Bubba's Healthcare team is committed to excellence, personal service and responsiveness to our clients working in the complex, heavily regulated and constantly changing healthcare industry. 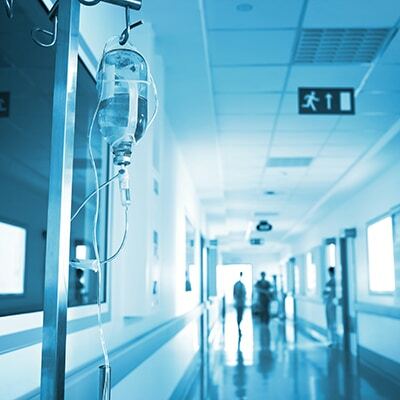 We have experience and expertise in advising hospitals, health systems, ambulatory surgical facilities, assisted living facilities, physician groups, rehabilitation facilities, home healthcare agencies, and medical device manufacturers throughout the Mid-Atlantic region and are well-versed in Stark Law and Anti-Kickback Statute, HIPAA, medical staff and physician relationships, patient safety, accreditation standards, Medicare and Medicaid. FLB is actively and thoughtfully engaged on the issues that matter to our clients. Our attorneys regularly publish articles and speak to physicians regarding emerging trends and new regulatory requirements. We also understand that healthcare is frequently impacted by employment law, real estate law and corporate law so we regularly collaborate with professionals in other practice areas to meet your needs. The attorneys at Fitzpatrick Lentz & Bubba understand the complexities inherent in negotiating and effectuating business transactions unique to the healthcare industry. Our attorneys regularly structure healthcare transactions to ensure compliance with applicable laws and regulations, while bringing a pragmatic approach to the business and financial realities impacting those transactions. Our healthcare attorneys understand the unique needs of our medical staff and physician clients and have the knowledge and experience to meet ever-changing accreditation, regulatory and statutory requirements. To support our clients’ varying medical relationships, we frequently develop bylaws, peer review protected processes, and fair hearing and appellate review procedures. We also regularly assist physicians with navigating the corrective action, fair hearing and appellate review processes to ensure compliance with bylaws, regulatory and statutory requirements. Our healthcare attorneys provide highly skilled legal assistance to physicians, medical staff, hospitals, practices and others in the medical field to help them resolve disputes and complex professional problems. Our attorneys regularly appear in state and federal court throughout Pennsylvania, New Jersey and beyond. We have represented clients before various state agencies, including the Department of Environment Protection (DEP), Department of Health (DOH) and Department of Public Welfare (DPW). We collaborate with members of our employment, intellectual property, litigation and real estate practices to provide comprehensive representation. In addition, our department chair, Joseph A. Bubba, regularly serves as a mediator/arbitrator for the American Health Law Association’s Alternative Dispute Resolution Service, as well as for the American Arbitration Association. In short, FLB has the breadth of experience and depth of knowledge to provide real-world counsel and represent healthcare providers and provider organizations at trial, on appeal and in administrative and regulatory disputes. Fitzpatrick Lentz & Bubba is well-equipped to advise healthcare-related clients on the intricate and ever-changing regulatory climate that impacts their licensure and operations. This includes counseling them on compliance with state and federal regulations, including those promulgated by the Pennsylvania Department of Health (DOH), as well as compliance with federal laws including the Stark Law, Anti-Kickback Statute, and the Patient Protection and Affordable Care Act. Fitzpatrick Lentz & Bubba has the broad array of experience in providing legal counsel to personal care homes, assisted living facilities and home health agencies through all stages of their development, from zoning and construction to licensing and ongoing operations. Our healthcare, employment, real estate and corporate law attorneys regularly collaborate to meet the varied needs of our clients in this industry. Our healthcare attorneys counsel our clients on a wide-range of matters to improve patient safety and satisfaction and meet regulatory requirement while avoiding costly litigation. We are well-versed in medical malpractice defense, having handled all aspects of litigation from pleadings to trial. We offer oversight counsel services in select medical malpractice matters. We also offer services to licensed individuals before disciplinary boards. "We received stellar counsel from the FLB team on our healthcare startup. With our business model likely being the first of its kind – FLB navigated Medicare compliance with ease and enthusiasm."